← USDA Organic Honey – What Does It Mean? Seven of the hives at Brookfield Farm Bees And Honey, in Maple Falls, Washington. 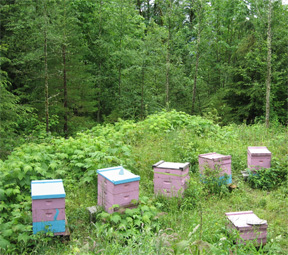 The hives face south into the forest that is on the south side of our property.